For many years I used to spend a couple of weeks at my granny’s house in Tipperary. It was here that I gained my love of World War 2 history through the various movies we would watch together. We saw them all dozens of times but the magic was always the same. We even had our assigned seats like it was a cinema! For a good part of my life I believed that Gregory Peck took on the Nazis single handedly and I recall scratching my head at Christopher Plummer’s odd behaviour; First he fled Austria from the Nazis ( The Sound Of Music), then he fought them (Battle Of Britain) and then he joined them (The Scarlet And The Black). The point of this post is that every so often Granny would throw a curveball, a non WW2 movie. 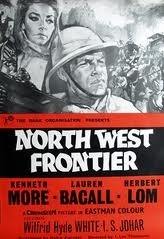 One of the most memorable for me was a movie called Northwest Frontier (US: Flames Over India – 1959). 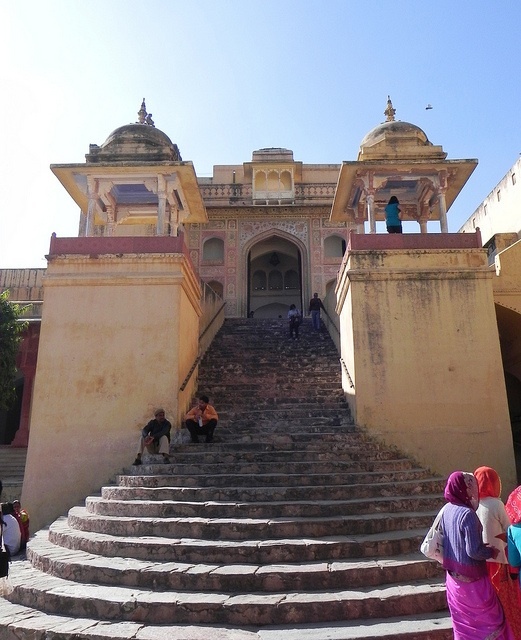 This was partly filmed in the Amber Fort. The same fort we visited in Jaipur back in January, as well as sections of the railway track near Jaipur. The plot follows a British Army Captain Scott played by Kenneth More (A Night To Remember, Sink The Bismarck!) who is tasked with the safe delivery of the Maharajah’s young son to the Governors Residence far away. The reason being the nearby Muslim uprising before fleeing the enclosing rebels to another place using an obsolete train. Other roles are played by Belgian Actor Eugene Deckers ( The Assassination Bureau), Wilfred Hyde-White (My Fair Lady), Ian Hunter and Indian actor I S Johar (Lawrence Of Arabia) as the driver Gupta. But the best part was that played by Czech actor Herbert Lom (The Ladykillers, The Pink Panther Series). He plays a journalist who turns traitor on the expedition. Throughout the movie there are great scenes where we see this character grow as a villain, especially in the engine room with the prince. The success of this film allowed the Director J. Lee Thompson to go on to direct the Guns of Navarone a few years later. Thanks for that Ben, forgot that he was in the 39 Steps as haven’t seen that movie since I was 8 or 9 years old. The best story of Kenneth More is how he lost a role in the Guns of Navarone for heckling his boss John Davis at a BAFTA dinner.